One might think that this was a rather disappointing safari drive. And for some it might be. 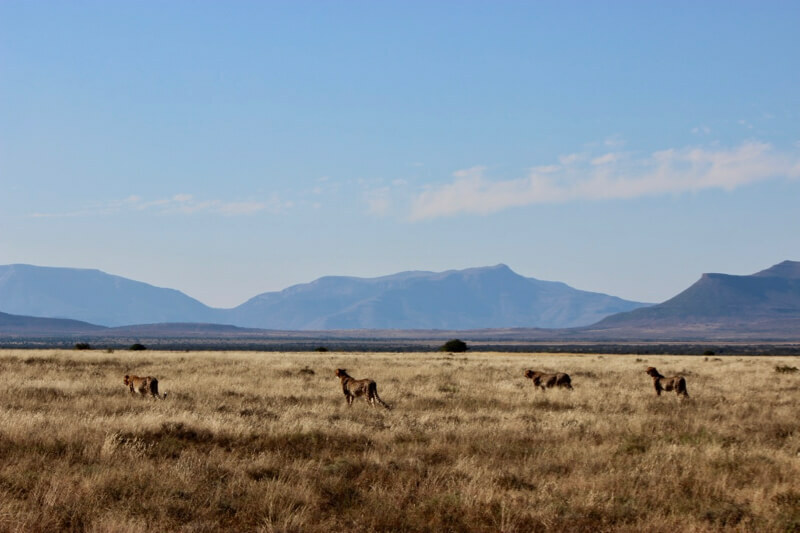 But on a recent visit to the Karoo Game Reserve of Samara, this was my very experience on the last game drive of our stay… and it was anything but disappointing! Yes, the rain may have dampened the dry, red earth turning it to thick, red mud, but the earth’s tears did nothing to dampen my love for this part of the world! 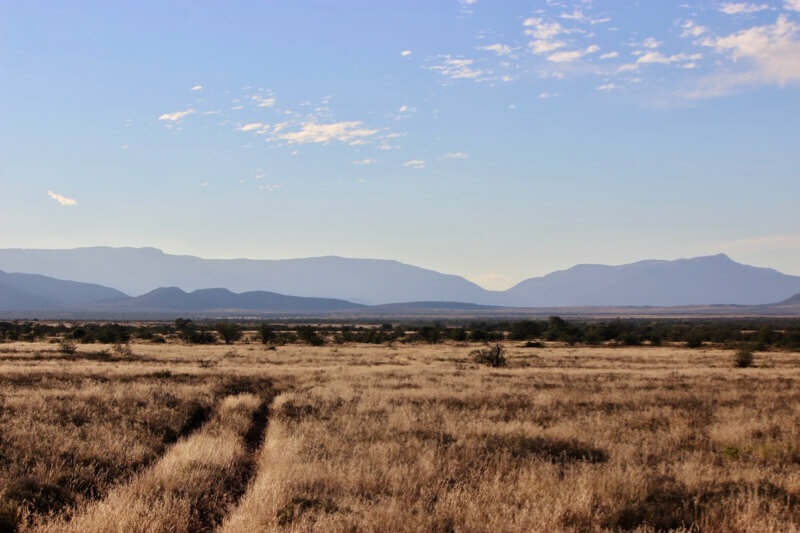 Samara is located in the Great Karoo of South Africa where it spans over 400,000 km² of semi-arid landscape at the heart of South Africa covers an area the size of Germany. 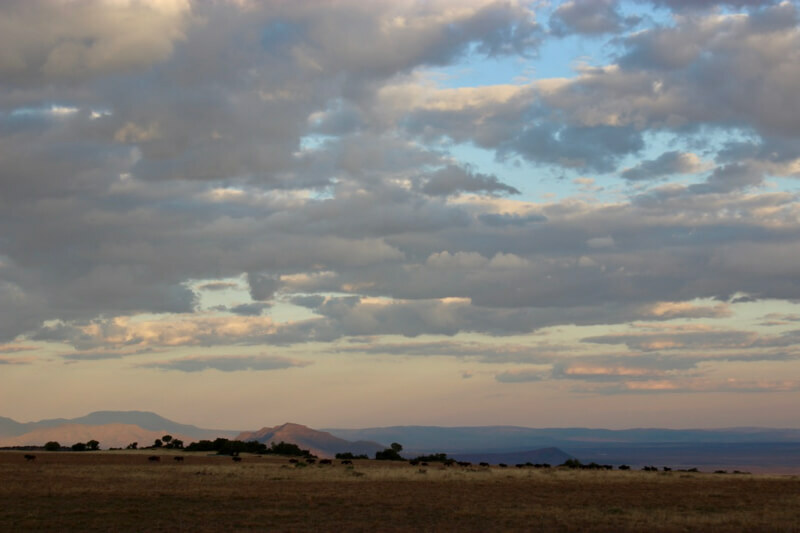 One of South Africa’s best kept secrets, The Great Karoo is just that, great, but it can be hard to see why on your initial arrival. This a place of vast skies and wide open plains, yet what appears to be little life at all. 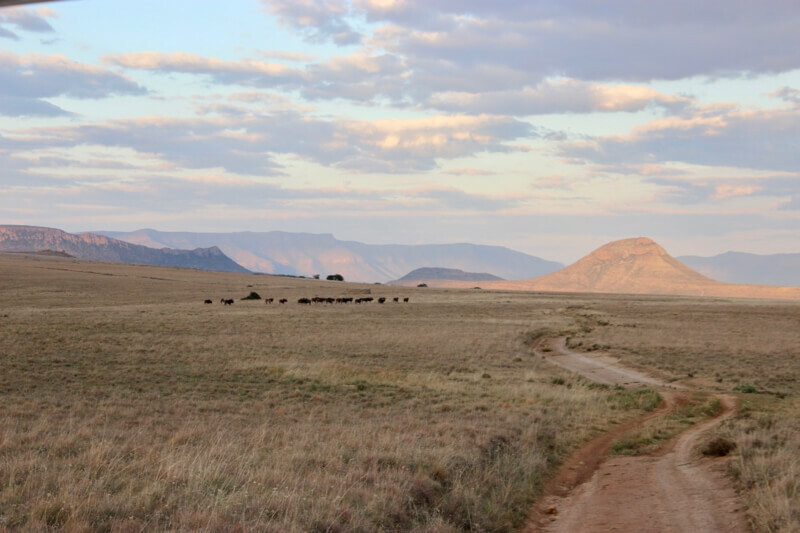 On my previous visit to Samara I fell in love with the simplicity of Karoo life and the slow pace at which it unfolded, so when an invite arrived for me to return to the place that had made such an impression on my soul, I jumped at the chance. 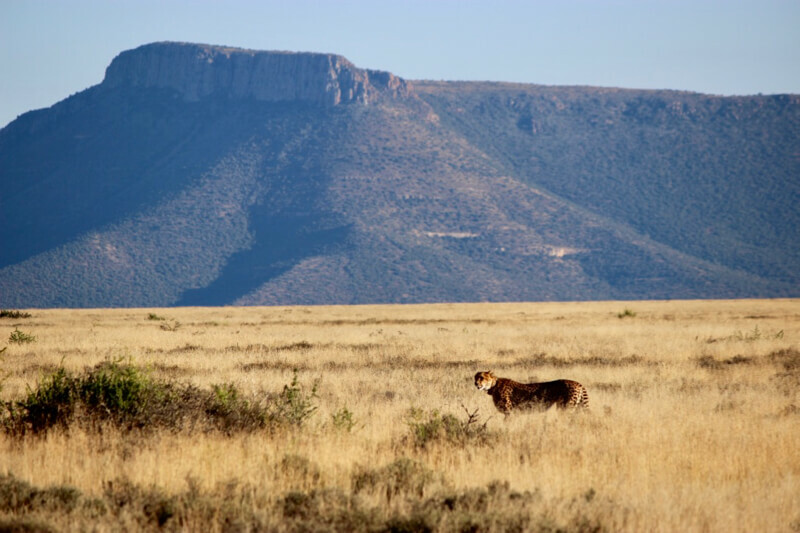 Over 200 years ago, the Great Karoo was a haven for wildlife and vast herds of eland and Cape buffalo roamed the grasslands, black rhinoceros thrived in the dense thickets, and herds of elephant meandered up from the coast to feed along the green mountain slopes. 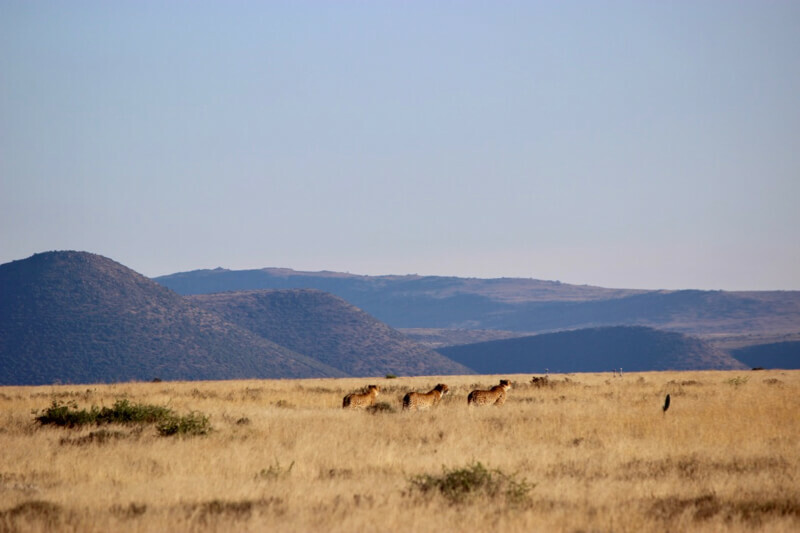 There was an abundance of black-maned Cape lion and an epic springbok migration, when up to a million migrating antelope converged into a single herd over 3 miles wide! Sadly over the years this wildlife was eliminated and replaced by fences and sheep farms. 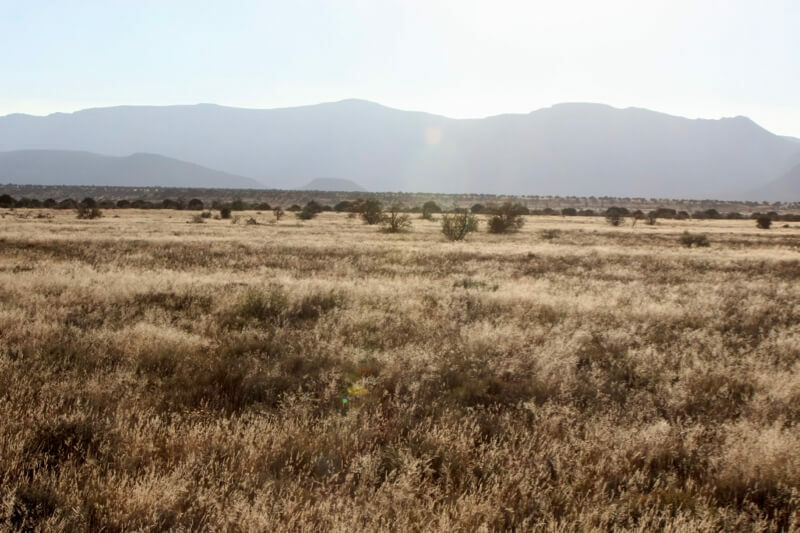 Samara’s vision is to recreate the Karoo of old – restoring degraded habitats and reintroducing the wildlife that once roamed the semi-arid land. 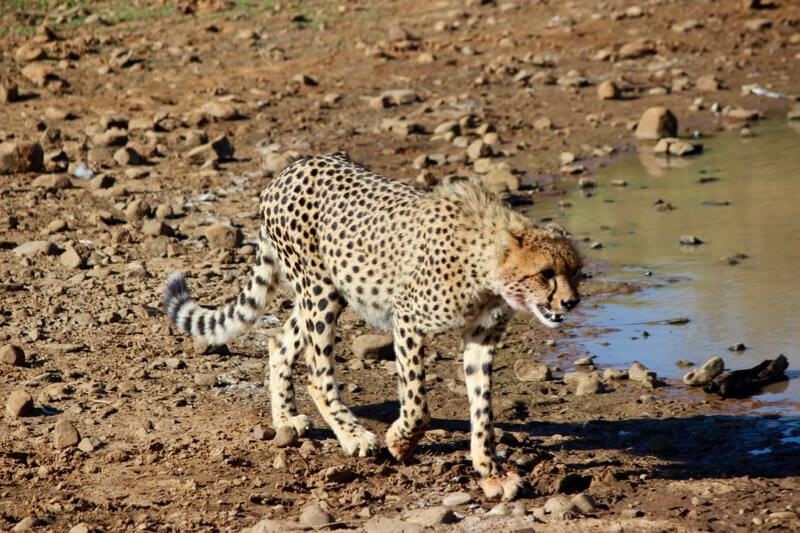 Since 1997 they have embarked on various exciting projects including releasing the first wild cheetah back into the region in 125 years, the first desert-adapted black rhino, the first endangered Cape Mountain zebra on private land, and, most recently, reintroducing the first elephants back into the Plains of Camdeboo in over 200 years. The grand vision is that one day Samara will be able to sustain the abundance and diversity of wildlife documented by the early explorers in the region. 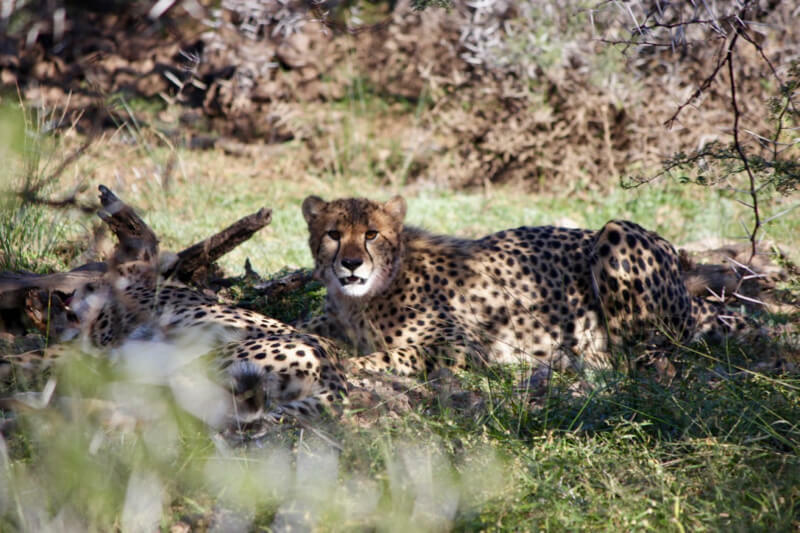 During my visit to Samara I was fortunate enough to encounter some of Samara’s most celebrated residents… a family of Cheetah. 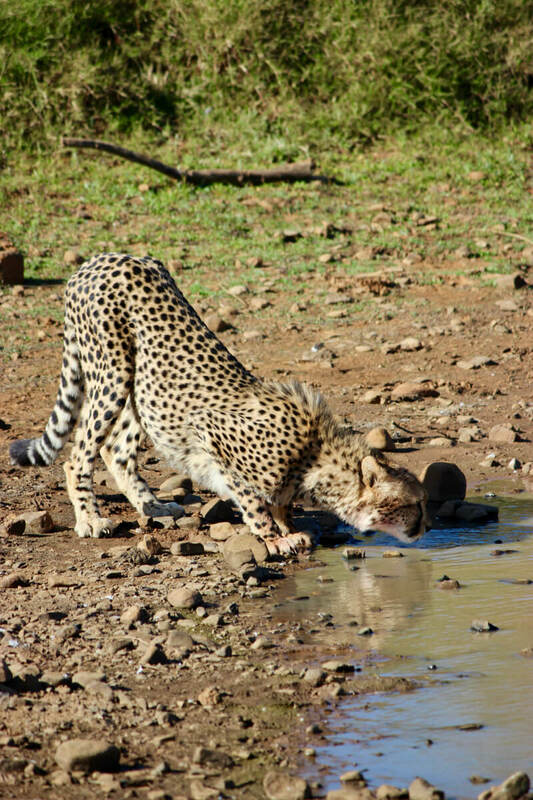 Often overshadowed by bigger predators in other game reserves, at Samara the cheetah sit at the top of the food chain and, since they have become habituated to people, one of the highlights of a stay at Samara is the opportunity to track these wild cheetah on foot therefore allowing you a truly unique bush experience! On my last visit I was able to get up close and personal with Sibella, the matriarch of the Samara cheetahs who had 2 cubs, Chilli and Pepper. Sadly Sibella passed away a few years ago, but on my recent return visit to Samara I was able to once more see Chilli – who now has a family of her own! 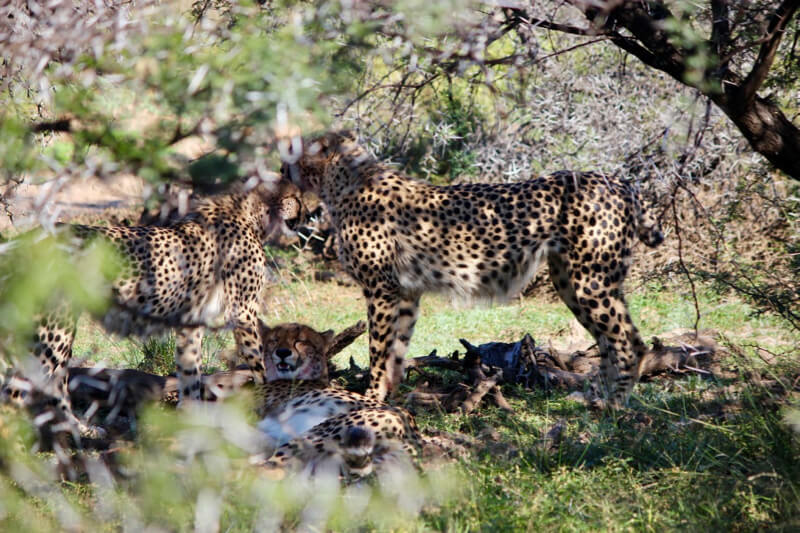 A coalition of 4 adventurous cubs who will soon reach maturity and head out to fend for themselves, but for now, aged 18 months, they are very much still taking hunting lessons from their mom! Every inch of Samara has a special beauty, but there is a particular piece that is quite unique indeed. 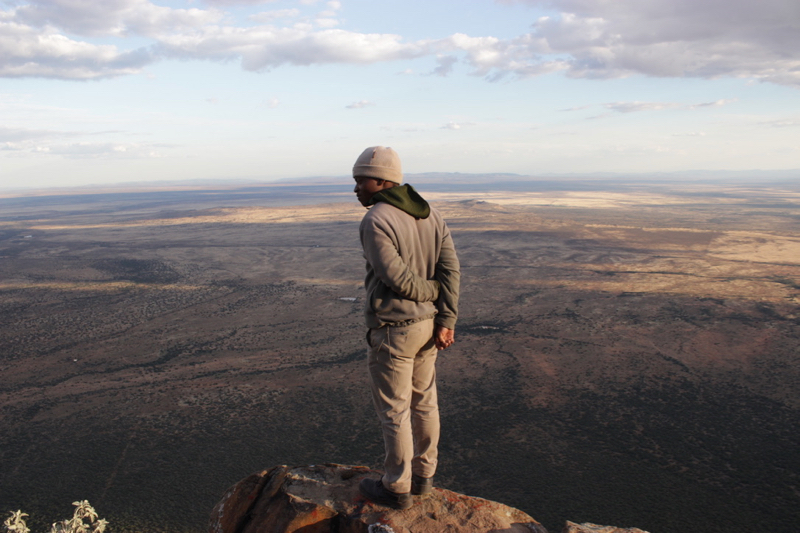 Perched high on a mountain plateau (that involves a hair-raising 4×4 ride up the most extreme road I’ve ever been on) is the ‘Serengeti of the South’, otherwise known as the Samara Mara! 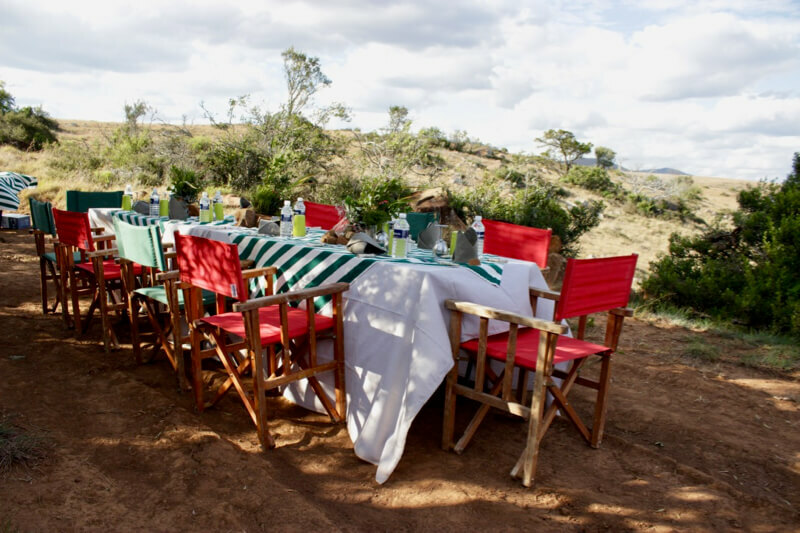 On our trip to the top we were treated to an unexpected treat – lunch with a panoramic view out over the Plains of Camdeboo. A white linen table cloth, comfortable chairs and feast for the stomach as well as the eyes… not a bad way to spend a Saturday afternoon. Our lunch was followed by a visit to Eagles Rock look out point where those who were brave enough to peer over the edge down the sheer drop beneath managed to spot the elusive ellies of Samara munching on the spekboom 100’s of metres below…. and obviously in one of the most impossible parts of Samara to reach by vehicle! On my first visit to Samara with my family I recall driving past the gorgeous Manor House and wishing we could get a sneak peek inside… this time I got to spend 2 nights in the Manor House luxury accommodation at Samara. Until now the luxurious Manor House has been an exclusive-use villa ideal for families and groups looking for privacy, indulgence and complete relaxation. However, in the next few weeks Samara will be opening up 3 of the 4 luxury suites for bookings by independent travellers, couples, and even single travellers. 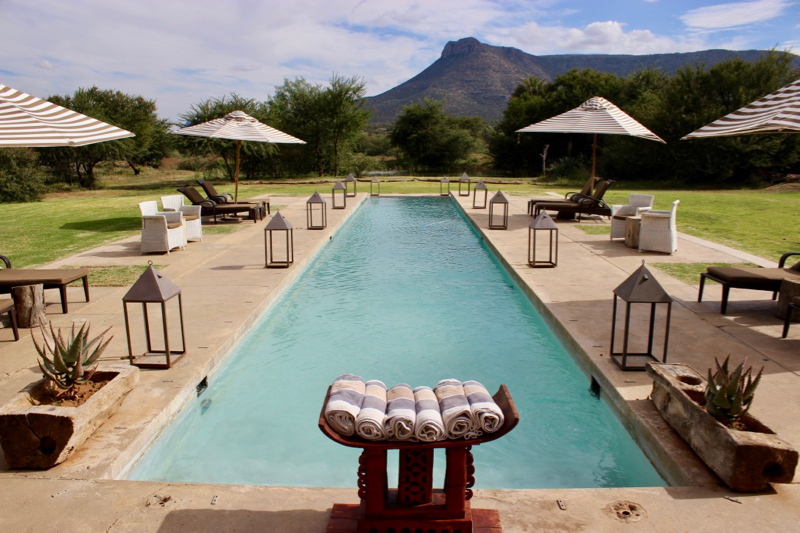 Manor House is a brand new boutique hotel in the heart of the Karoo! Each of the Manor House’s spacious suites has received a facelift to prepare for the change. Each room has its own private veranda with gorgeous Karoo views. Bathrooms are spacious and have freestanding baths and showers, while rooms have king size or twin beds and are equipped with tea and coffee stations. 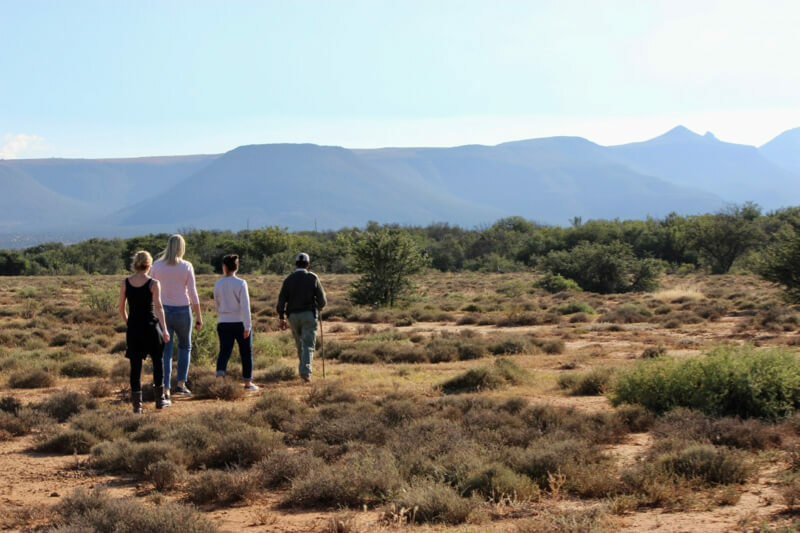 This means that couples looking to really escape it all or those who prefer a more modern aesthetic when it comes to accommodation can opt to book a room at Manor House instead of at the Karoo Lodge which is usually the accommodation for non-group bookings. Manor House will still be available for group bookings and certain times of the year will be reserved exclusively for group bookings. 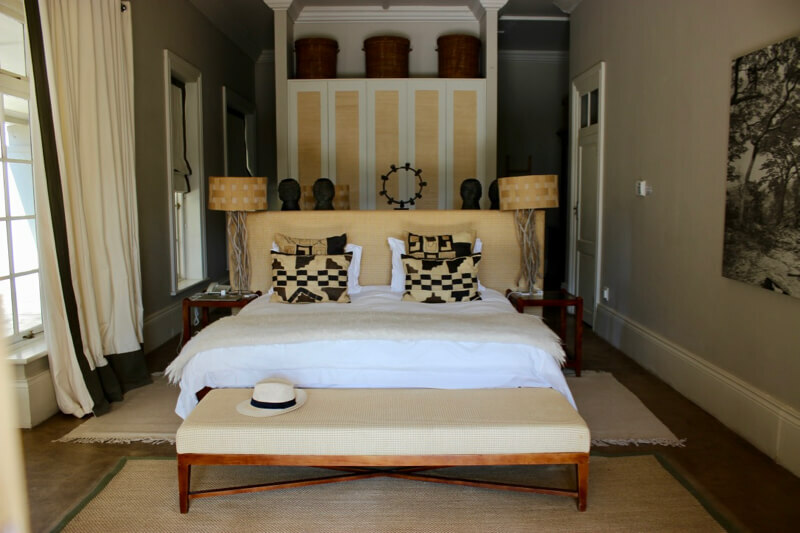 I loved my time at Manor House as it felt like a gorgeous personal home with a modern safari touch. The layout of Manor House ensures that there is so much space that you hardly know anyone else is around. Spacious living areas create separate private spaces to unwind in blissful solitude, while you can also choose to be a bit more social around the fire or the dining room table. My room (suite) was large, light and airy with a huge comfortable and peaceful views out across the Karoo landscape to the purple mountains beyond. The decor of Manor House is contemporary and reflects the local landscape with gorgeous collections, antiques and art on display. 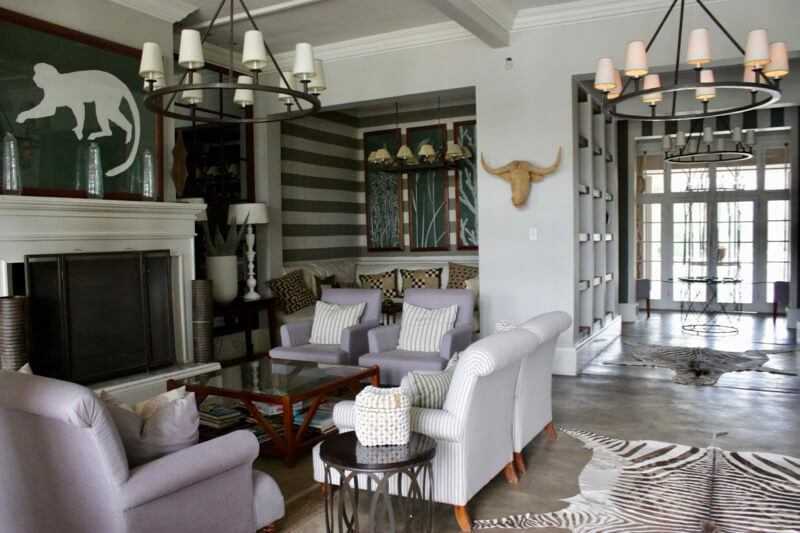 This space has been designed by talented South African interior designer John Jacob Zwiegelaar. 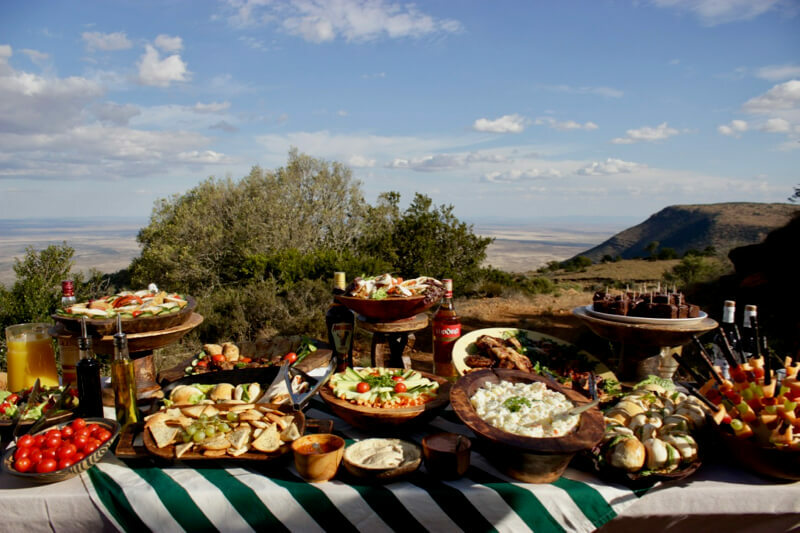 The alternative accommodation option at Samara is the equally romantic Karoo Lodge, the family-friendly 5-star offering. This traditional lodge is a renovated 1800s farmhouse that has a warm, welcoming atmosphere. The wide verandah is a welcome respite from the heat of summer, while the cosy fire will draw you in on cold winter nights. 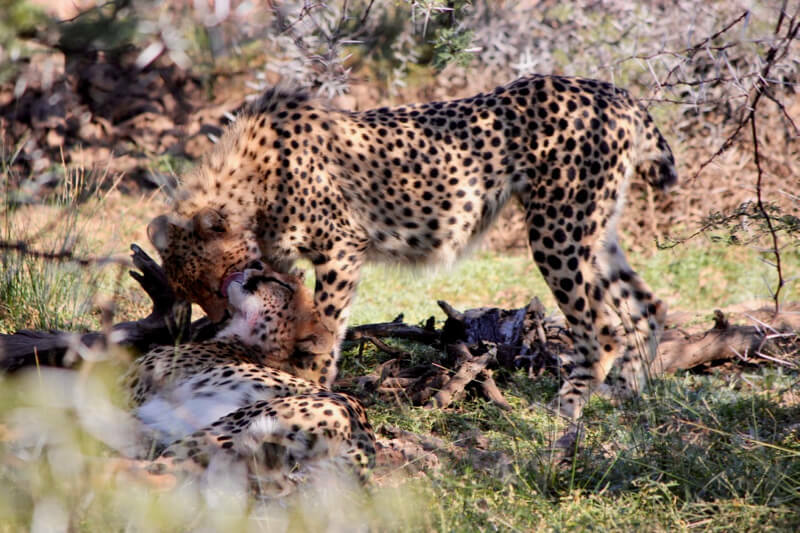 At Karoo Lodge children of all ages are welcome and although kids under 8 are not permitted on game drives there is a dedicated children’s programme to keep them entertained. 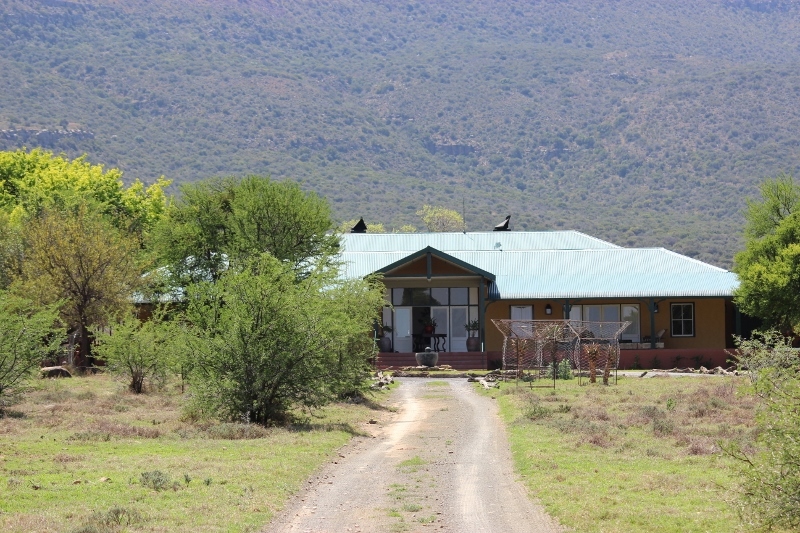 Read more about my previous Samara stay at Karoo Lodge with my kids here. While staying at Manor House I lapped up the luxurious Karoo accommodation and made the most of lounging fireside after returning from evening game drives and soaking in a long hot bath… a true treat for a Capetonian on strict water restrictions! 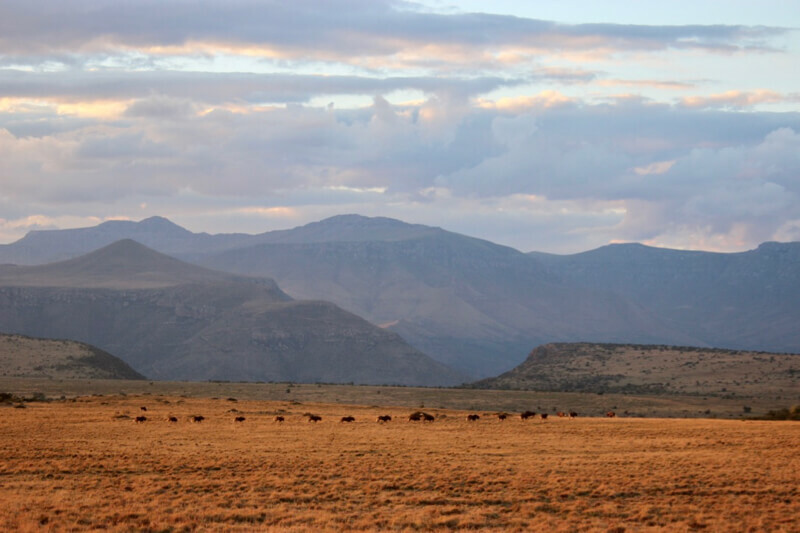 At 70,000 acres, Samara is the largest private game reserve in the Eastern Cape, located in one of 36 Global Biodiversity Hotspots. The area encompasses under-conserved vegetation types and provides a home for many endemic, as well as endangered species. 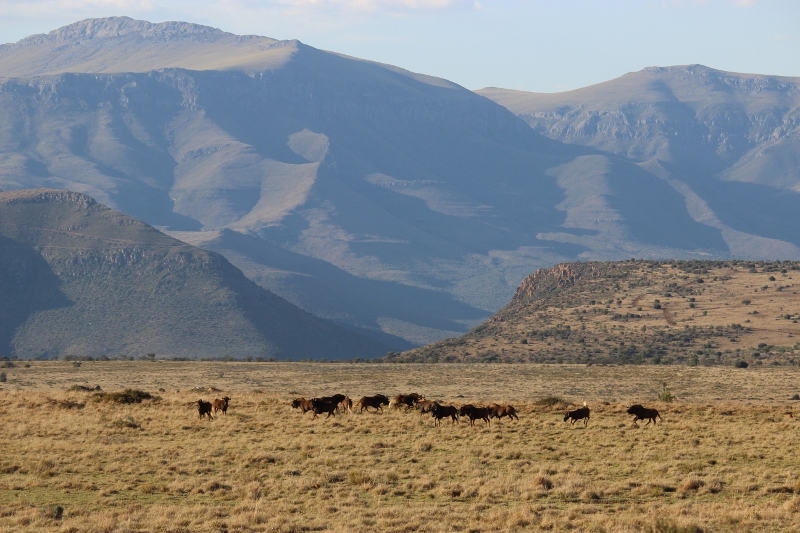 In 1998 a visionary dream by SANParks and conservation NGOs sought to link, through ecological corridors, Camdeboo National Park in the west, and Mountain Zebra National Park in the east. 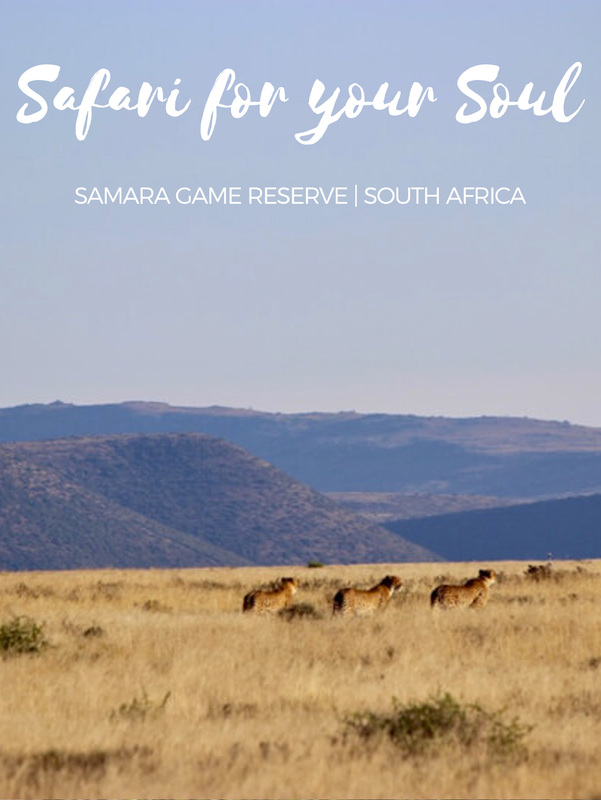 Samara Game Reserve is ideally located in the middle of a chain of conservation areas between these two reserves and can serve as an important catalyst for this grand vision of 1.3 million acres untraversed conservation-friendly land where biodiversity can thrive. 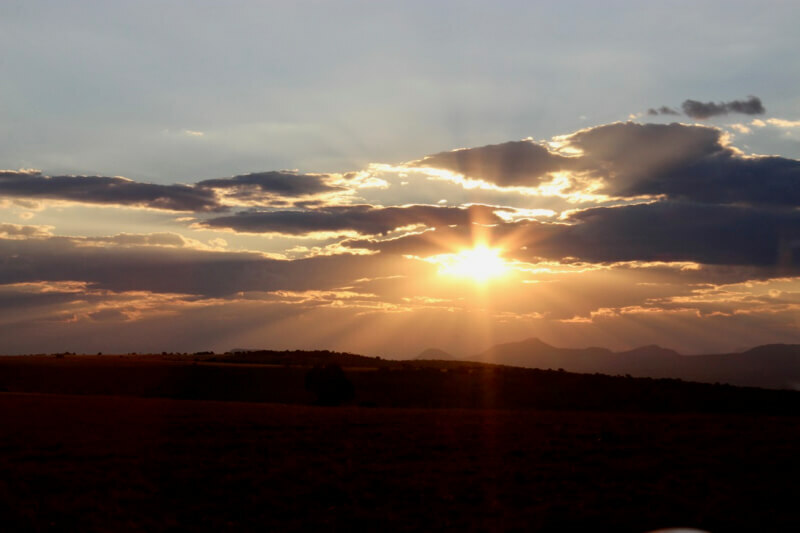 At Samara each guest pays a conservation fee which contributes towards this grand vision of creating South Africa’s 3rd largest protected area. So back to my bumpy game drive in the rain… What is it about that experience that has etched itself into my memory bank of travel experiences? That particular wet game drive certainly didn’t offer the most exhilarating game viewing, BUT it was one of the most memorable game drives I’ve been on, primarily because it was in that moment that I was reminded about the restorative power of nature and the way this part of the world connects you to nature and, in turn, to yourself! Spending time in the wide open places, exposed to the elements are the experiences that deliver true freedom. And this is essentially why we travel. Far removed from the daily deadlines, relentless grind and terrible traffic…. we travel to connect with nature. And in Africa you get exactly that! 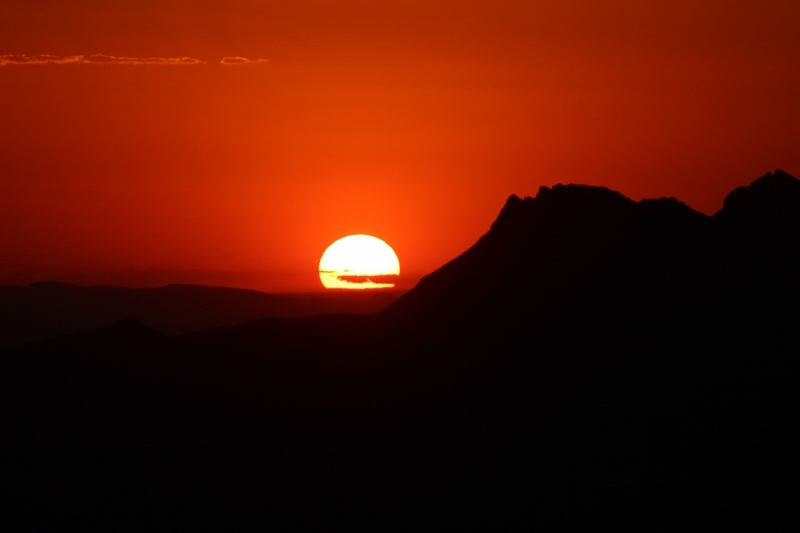 In Africa there’s nothing left between you and nature… and that’s exactly how you tap into your soul. It’s on the wild open plains of Africa, wind whipping your hair, rain lashing your lashes, that you tap into each one of your senses and fully experience life in all it’s gory glory! Feel the rain on your face and the wind in your hair. Hear the call of the blue crane and the yelp of the wildebeest. See the endless horizons and the inky black skies dotted with stars. Smell the rain on the red earth and the smoke of the fires welcoming you home. Samara gets under your skin and creeps into your soul. It is a true a safari for your soul. A place that will leave you feeling restored, relaxed, revitalised and refreshed…. and longing to return! I certainly hope to be lucky enough to return to this magical place. And next time I hope to be a little bit luckier at spotting an aardvark! 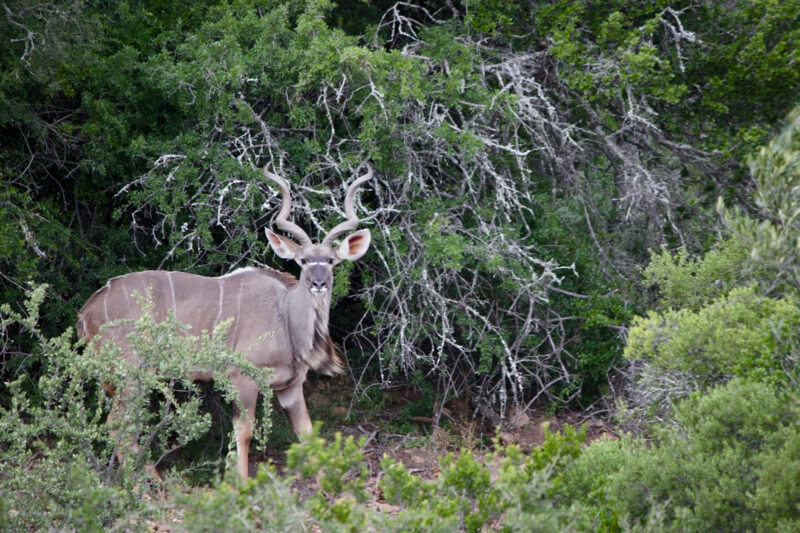 Samara Private Game Reserve in the Great Karoo, a 40-minute drive from the historical town of Graaff-Reinet. Travel from Cape Town via the N1. Approx 7.5 hours. Fly from Cape Town to Port Elizabeth. The flight is 1 Hour. Hire a car and then travel from PE International Airport to Samara. Approx 3 hours. Rates range from R3170 – R6270 in high season. 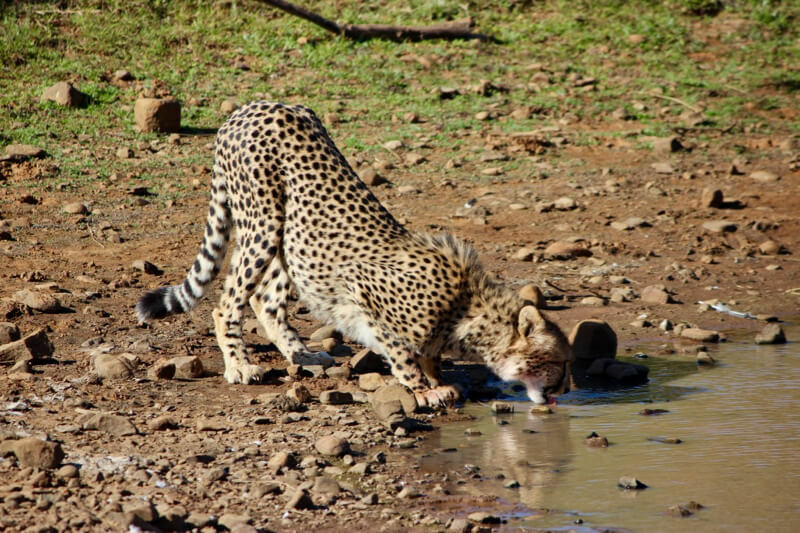 These rates include luxury en-suite accommodation, all meals, tea and coffee, two game activities (drive or walk) daily with experienced guides, a children’s programme (children under eight years are not allowed on scheduled game drives), selected local drinks during game activities, Wifi and VAT. This is the first time I read about Samara, and it really make me smile and wanted to visit it. I have been in Safaris en Kenya, Tanzania and South Africa; do you think this one is better? Hi Ale. 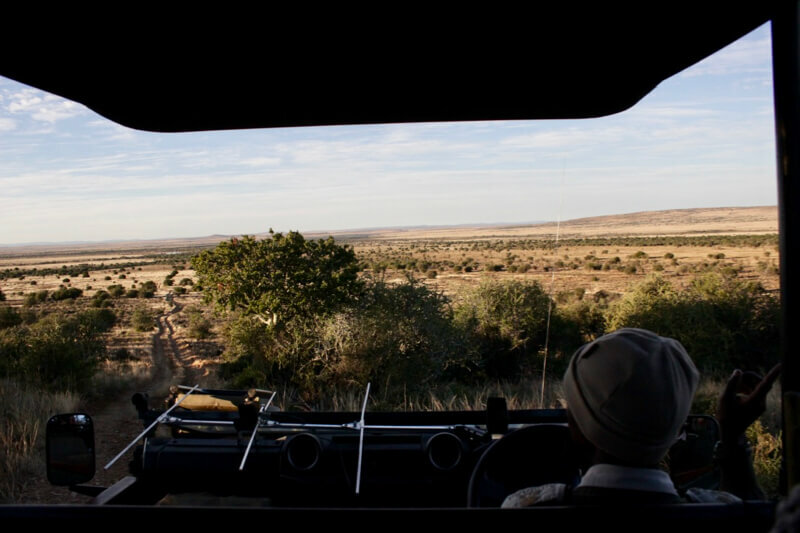 A safari at Samara makes for a really good second or third safari. 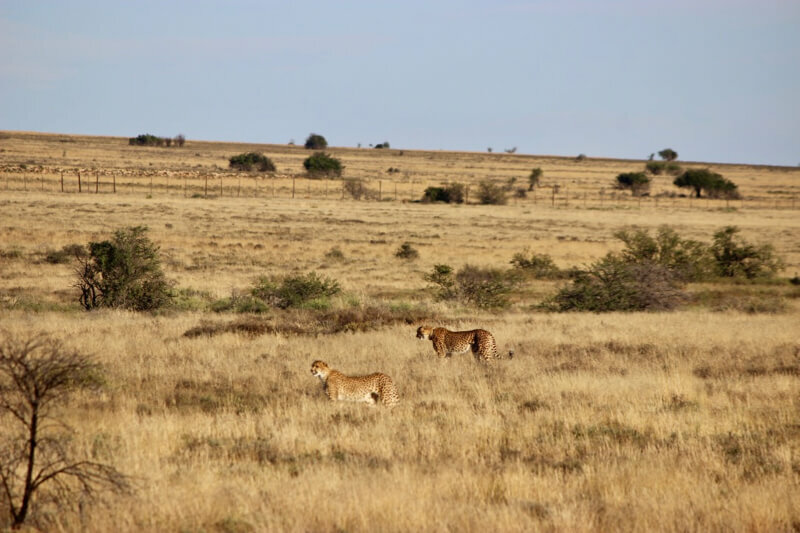 You may not see as many animals at Samara but you will have a true safari for your soul and really connect with Africa and yourself. Thanks for your comment. I so appreciate it and am very pleased to hear my writing made you smile! I spent six months in Africa in 2015 and cannot wait to return later this year. Cheetahs are my favourite too! Hi Nicole! Glad to hear you’re heading back to our sunny shores soon! 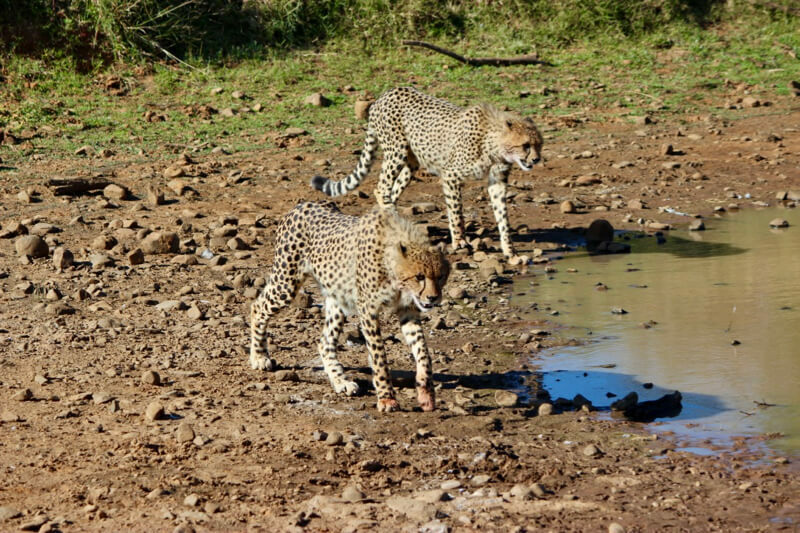 Cheetah are incredible animals and it was a true treat to see them at their best out in their natural habitat. I have been hearing about South Africa and it beautiful topography for a while now. 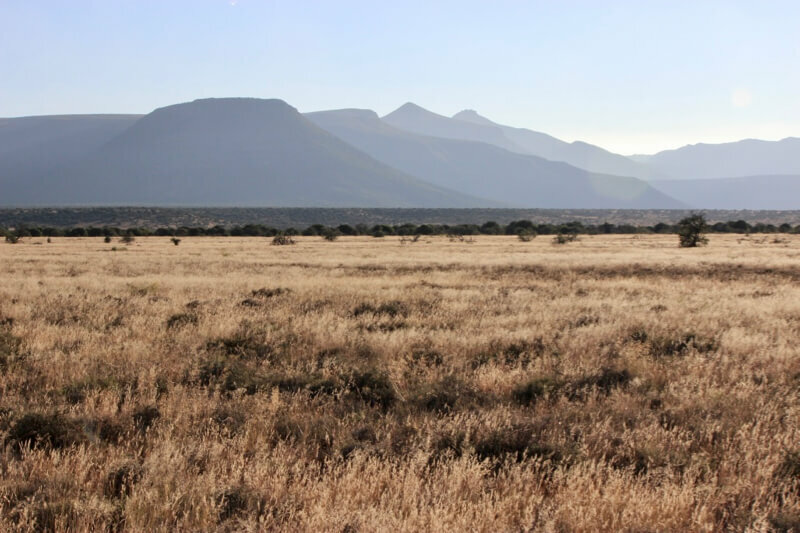 Reading this post about the great Karoo, just made me want to visit South Africa. the more. A wild life is something I have always want to experience. 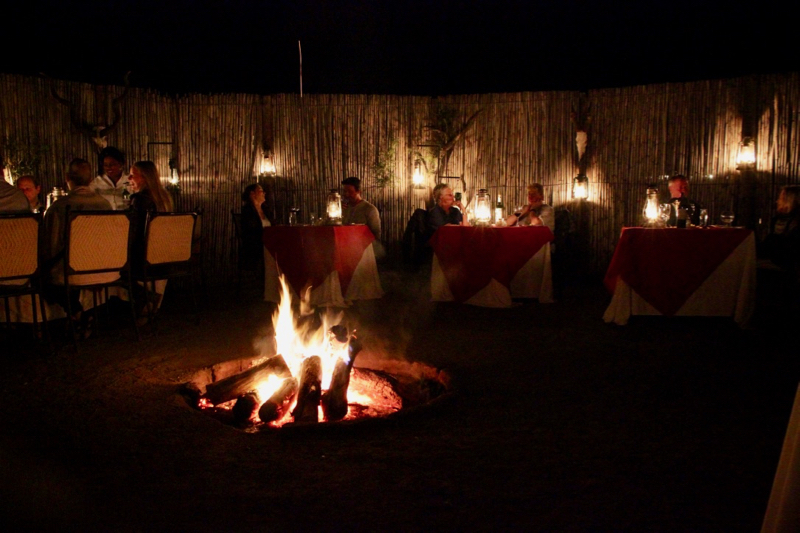 I look forward to exploring the wild adventures of Samara with its lovely Samara karoo Lodge soon. Thanks a bunch Kathryn for this enlighten post. 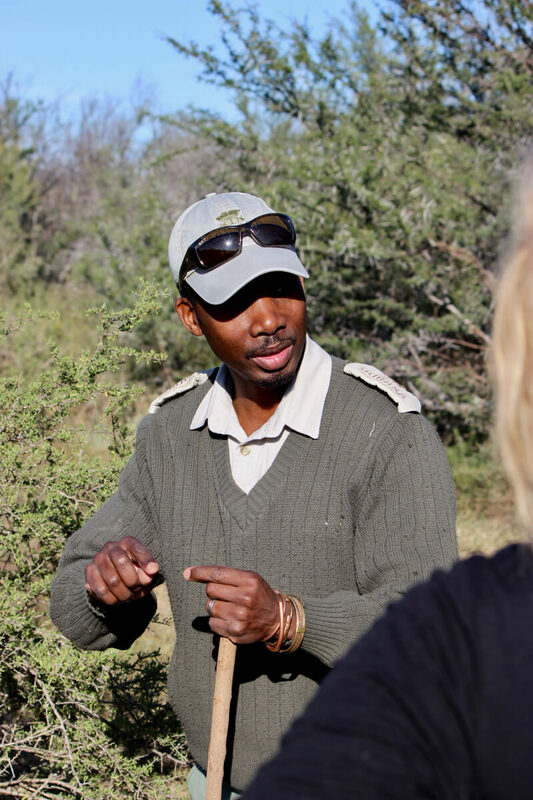 I love Safari…I have done a few safaris & its amazing &adventuorous…I have heard that South African safari is very nice..one day will go there..Thank you for letting know all the details about the safari.